“Her commitment to quietly helping others was obvious,” Mayor Kyle Palmer said in announcing Alyssa Khieu as the Future First Citizen for 2018 from Silverton High School. He went on to praise the “amazing group of students” nominated this year. As Future First Citizen Alyssa will receive the Jack Berger Memorial Scholarship. 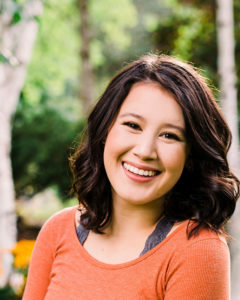 The daughter of Van and Lydia Khieu, she came to Silverton in time to attend Robert Frost for one year, then Mark Twain Middle School, and in June will graduate from Silverton High. Many of her community activities revolve around her participation in ASB, the leadership class at the high school. “I decided to be involved with ASB because I had taken Leadership class in middle school and really enjoyed it. Darby Hector was my teacher and really inspired me to be involved within the community,” Alyssa said. Her ASB projects have included working with the Tree of Giving fundraiser with Zenith Women’s Club to buy gifts for students who may not otherwise receive Christmas gifts. “This year, we (the ASB) raised over $6,000 and bought gifts for over 100 students!” she explained. Alyssa’s also in her third year of working with the Mr. SHS fundraiser that benefits Medical Teams International, this year as co-chair. She says her inspiration and willingness to be active in community campaigns mirrors the examples of her mentors and teachers. “Mrs. Hector is one of the most thoughtful, kindest people I know. She always goes above and beyond and makes everyone feel accepted. Mrs. Hector really showed me, especially by example, how essential it was to be involved,” Alyssa explained. “Mrs. Bashor is also a huge inspiration,” she added. “She is the most positive person I know… Seeing the passion she brings into everything is really admirable. In ASB, she put a focus on Servant Leadership, which really stuck with me. “Instead of focusing on yourself, putting the focus on others to lift others up is something that I really believe in,” Alyssa added. Amongst her other activities, Alyssa has been a member of the tennis team for three years – and was named Most Inspirational for 2018. She has also worked on the Red Cross Club blood drive for two years, which ties into her plans for the future. “One thing I would really like to do in the future is to serve in Cambodia. My dad is a refugee from the Khmer Rouge Genocide, and I’d love to have the opportunity be able to give back to my global community. Within the medical field, serving abroad is so feasible.